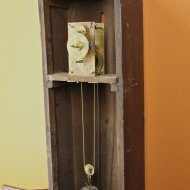 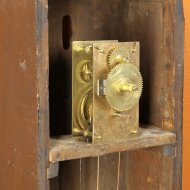 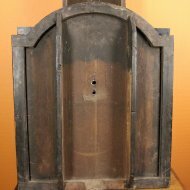 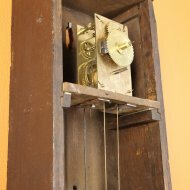 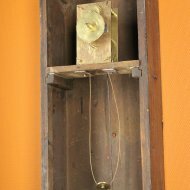 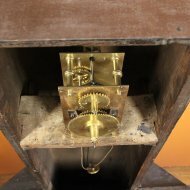 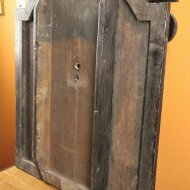 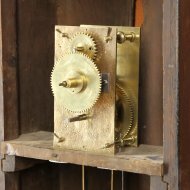 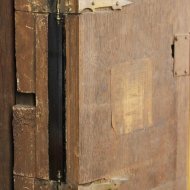 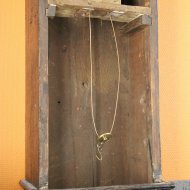 Abusively called: "Act of Parliament clock"
movement and case have been serviced, dial is in original unrestored condition. 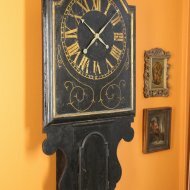 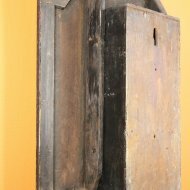 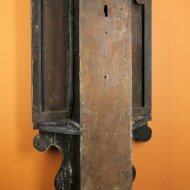 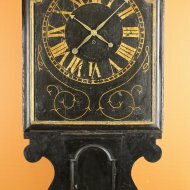 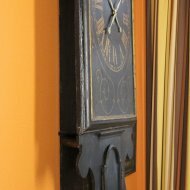 In the collection of Howard Walwyn is an early tavern clock by Gabril Holland, Coventry that has a similar rectangular shield dial. 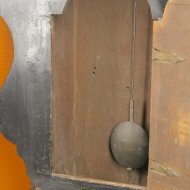 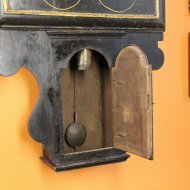 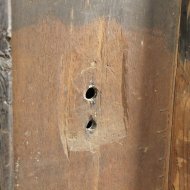 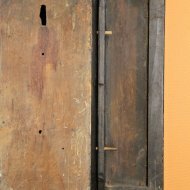 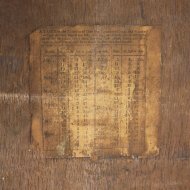 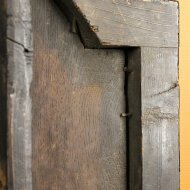 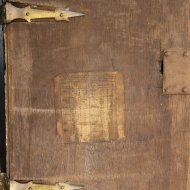 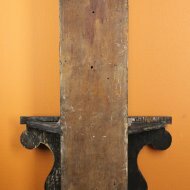 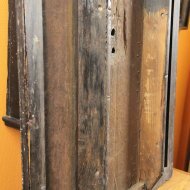 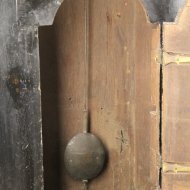 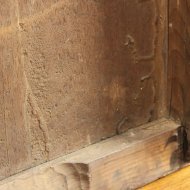 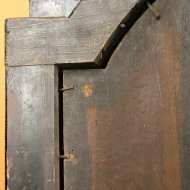 According Mr. Walwyn there are only 6 known tavern clocks with this rectangular shield dial.